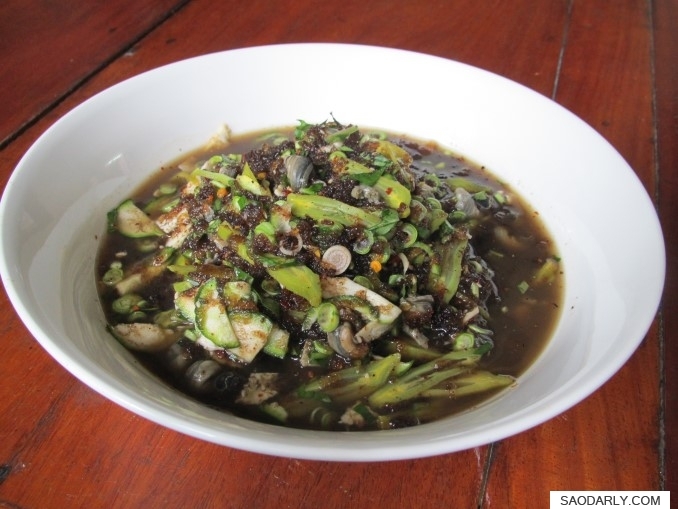 Sua Maak Jong (Malva Nut Salad) for lunch in Vientiane, Laos. This is a warm salad with plenty of fresh herbs and vegetables and freshwater shellfish. My Aunt Kian likes to eat Sua Maak Jong (Sua Maak Chong). She doesn’t mind taking her time to make this dish when she can get her hands on Malva Nuts. I have never eaten this dish before so I don’t know what it tastes like. 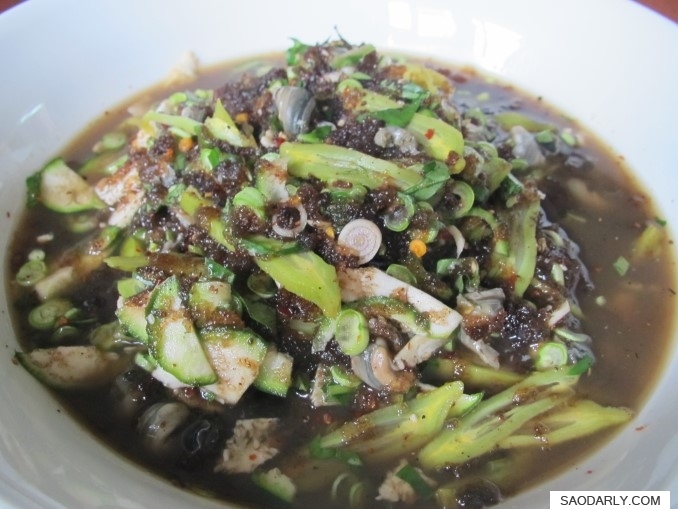 It goes looks healthy and reminds me of another traditional dish of Laap Thao or Larb Thao with the use of round green eggplant and freshwater shellfish in the warm salad.